It is official now. 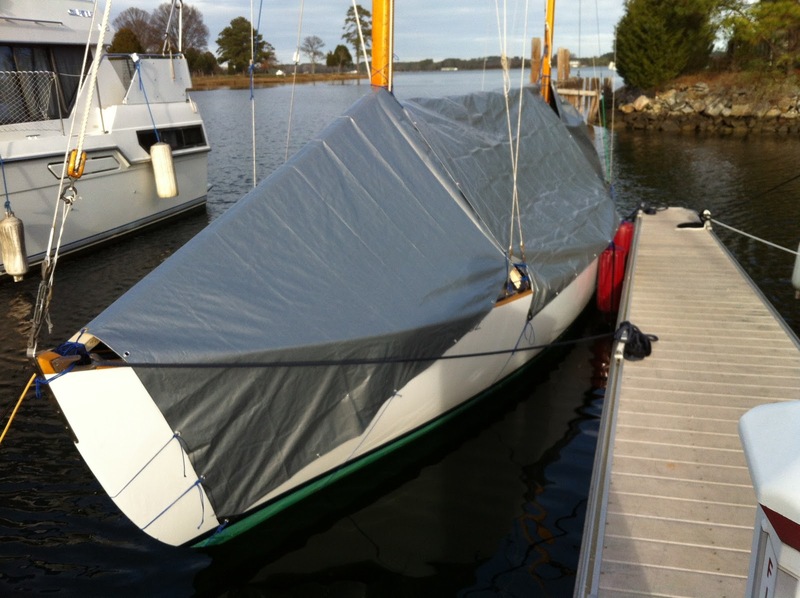 Luna is under wraps for the remaining winter. I bought 3 tarps, six 2×3’s and one 2×4 and headed to Mobjack with my big ball of string. The temps started in the teens and warmed to the mid 40’s. There was a good breeze with sun. Had the canvas not been removed, we would have gone sailing. 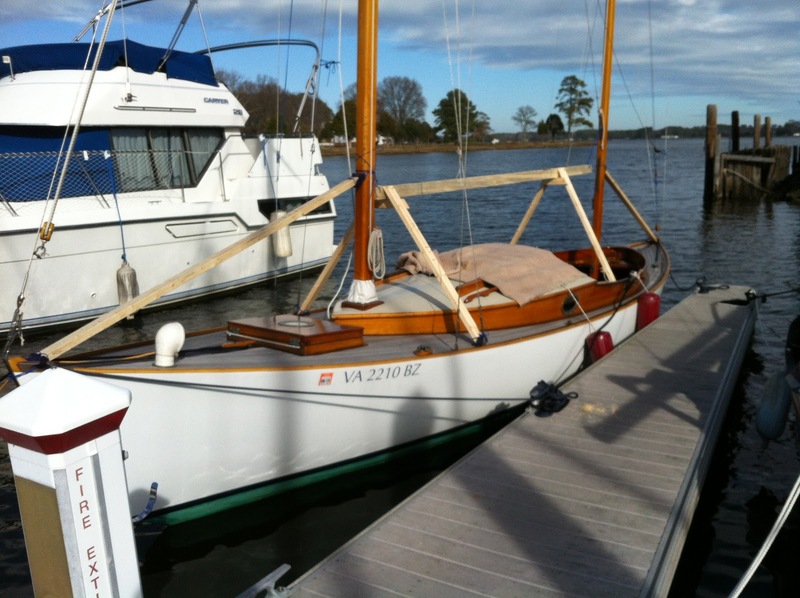 After removing the booms, forward hatch and companionway doors, a sturdy framework was fashioned to support the tarps. Coverage was good save for the aft tarp which got sort of bunched. I’ll rework that one on my next visit. Here are a couple pics of the cabinets and interior I’ve been fixing. 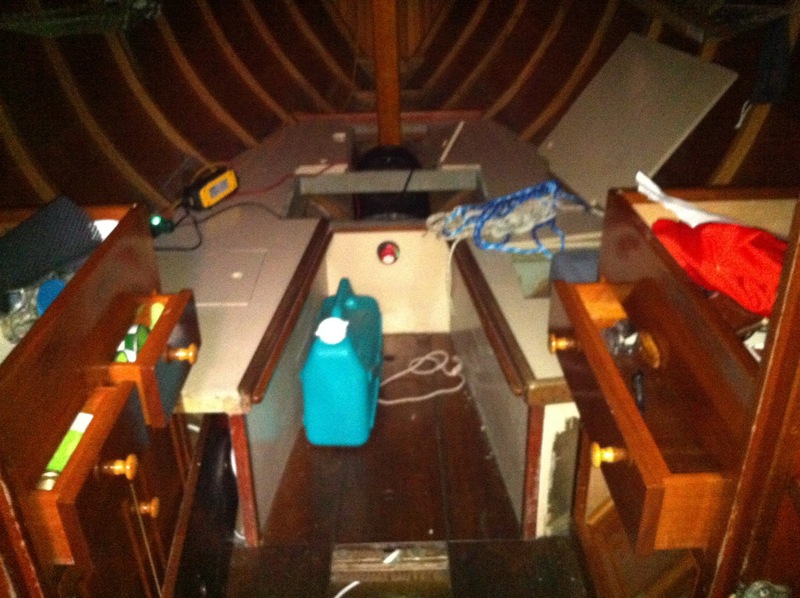 Galley is to port with a single burner butane stove. Chart table is to starboard. Two drawers for the galley. One for the chart table. Both have lift off counters made from a chestnut oak tree we dropped in our yard a couple years ago. The rest is mahogany. This greatly improves the old cabinets for storage and efficiency. I may write up more when that project is complete. Here are the counters tops. Fiddles are on 3 sides. there are storage bins all the way outboard. 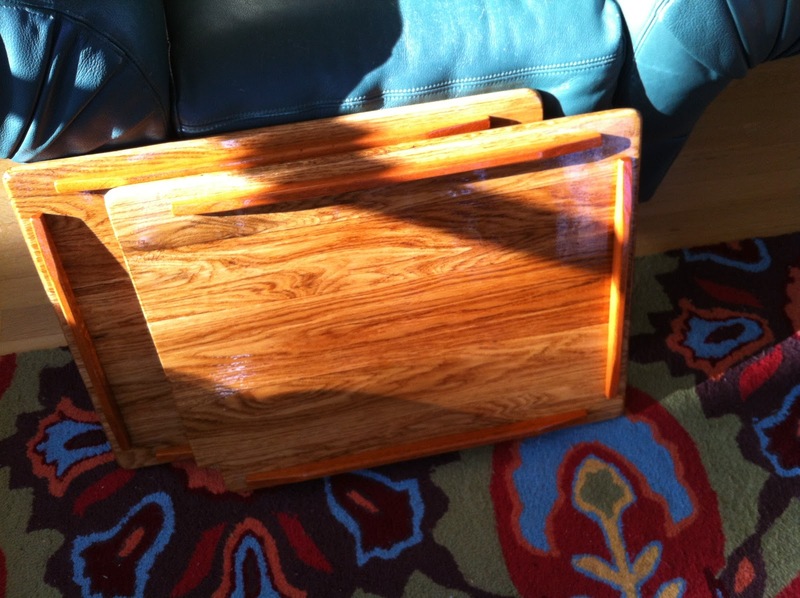 With the boat pieces brought home, there will be plenty of varnish work to get a start on before late March for haul out. That will be here before we know it. Good. It is hard to visit Luna and not go. It is going to be a good year.